The Monarch Orient Automatic Power Reserve FEZ09006W EZ09006W is an exceptional vintage-inspired addition to the Orient family. I say exclusive because it is one of the few manual winders in the brand’s directory. Beyond that, it also have characteristics like a domed sapphire crystal, a power-reserve indicator, and an exhibition case back–elements not often seen on a watch, but even less so in a watch costing. Let’s take a closer look. The Monarch Automatic Power Reserve FEZ09006W EZ09006W sorts a polished stainless steel case in at 40 x 45 x 13mm. It is a great contemporary size for a watch, but possibly a bit well-built than I would favour for a formal piece both in terms of diameter and height. Nevertheless, the bubble-like case wears well on the wrist, and it feels somewhat smaller than what its dimensions might suggest. This is accomplished through the subdued lug-to-lug length (relative to the diameter of the case), and the break between the mid-case and the bezel. The watch also settles quite a bit into the wrist, so the 13mm height isn’t as obvious when worn. One of my favourite case details is the exaggerated onion crown, which has a slight tube at its base resulting in a small projection that recalls vintage pieces and also results in a much easier grip for winding. Resting atop the dial is an ever-so-slightly arched sapphire crystal. The sapphire is a nice touch at this price, and it’s far more agreeable aesthetically than a flat sapphire would have been. With that said, an acrylic crystal with a higher dome could have been a superior alternative as well. On the backside, you’ll find an exhibition case back. Along the boundary of the metal part of the case back are some of the specs, which includes the 50-meter water resistance rating. There is an attractive fluted ring adjacent the glass aperture–a nice little detail that only highlights the fault of the exhibition back. Sunray dials can be an assorted bag depending on the execution, which in the case of the Monarch is actually quite nice. The finish here is delicate, so much so that you do not immediately become aware of that it’s there. It’s a nicer choice than just plain white, which can at times look flat and artificial if done wrong. Harmonizing with the dial is a set of Breguet hands, painted blue to mimic the effects of tempered steel. It’s a bit brighter than what you would find with tempered hands, and at times the paint replicates the light so noticeably that the hands become the focal point of the dial. Right below 12 o’clock is a well-executed power reserve pointer set for roughly 40 hours, and above the 6 is the classic Orient logotype and crest logo with the word “Mechanical” in fine script. The opposite here is nice. I love the inclusion of the PR indicator, which brings a pleasant equilibrium to the dial and in fact hands out a useful purposing. Overall, Orient Mens Watch comes together nicely. 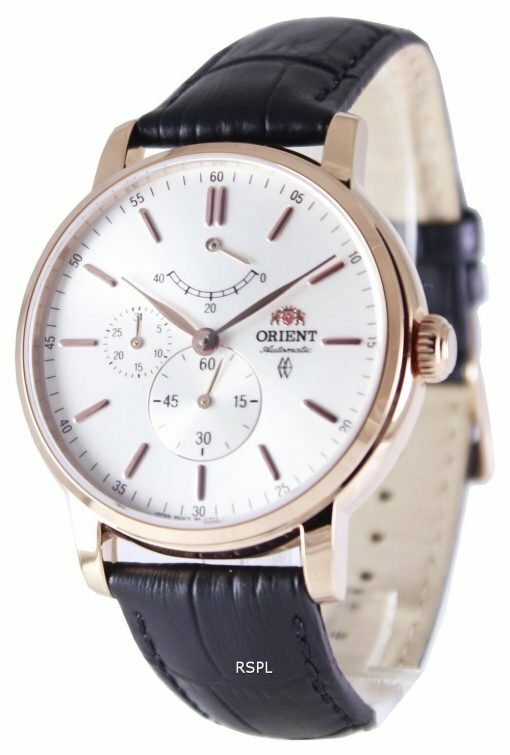 Bottom line: For those of us devoid of high budget, Orient Classic Automatic Men’s Watch present an unbelievable value. With their rock-solid built quality, dependable workhorse movements (in-house, I might add), and often lovely designs, they are hard to dispute against, and they’re often on the short list when people ask us to point them in the direction of reasonably priced and sturdy mechanical watches.